The Fleet Solid Support (FSS) ships contract continues to be a point of contention for MPs, military commentators and industry alike. Since the programme announcement in 2017, interpretations over the nature and purpose of the platforms, the decision to compete the contract internationally, and the potential location of construction have all caused much debate. An overarching issue, that will only increase in importance for large procurements of this nature, is the role that prosperity will play in the competitive process. ADS believes FSS stands as an ideal opportunity to demonstrate the MOD’s commitment to UK prosperity and invest in UK industry. Japan Marine United Corporation (Japan). Opening to international bidders raises the issue of the construction location; success for four of the five bidders would almost certainly see the main construction work happen outside of the UK. The National Shipbuilding Strategy states that pitching Team UK against international bidders will help the UK maintain its competitive edge and result in a UK offer that can compete at a higher level internationally. UK industry welcomes competition and the opportunity to demonstrate their world-leading capability. The FSS is a non-combat vessel, with a complex support and supply chain, and is designed to be a long-term platform that will see many decades of service. These factors provide a welcome opportunity to test the new parameters of prosperity criteria in procurement. It could prove a good example of an 80% solution in an innovative procurement framework that brings value back to the taxpayer, rather than a 100% solution that is delivered using traditional, and potentially inefficient methods. Iterative tranches of capability improvement over the course of decades could maintain a diverse supply chain and engage UK SMEs for years. 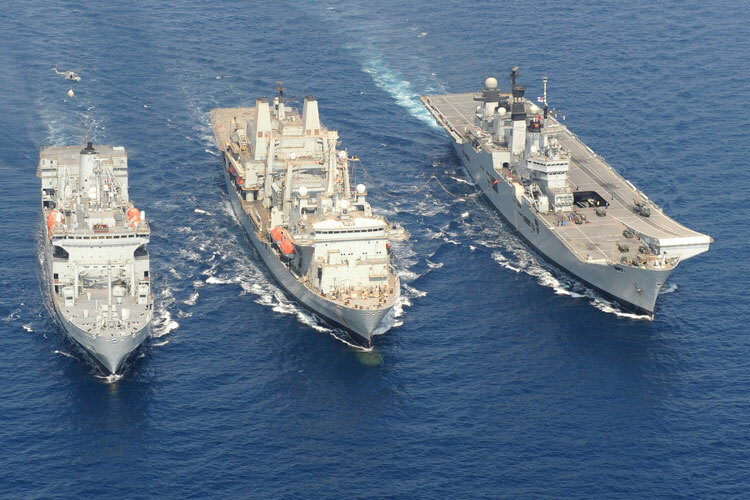 A successful British-led bid would suggest that the money spent by the MOD would remain in the UK. It would almost certainly be returned to the Exchequer via VAT, an increase in regional and local economies supported by the retention of jobs and taxes (both corporate and income). ADS supports the long-term vision that sees this up-front investment in UK capability and capacity as far outweighing any potential short-term savings from an international bid. The FSS competition is an ideal opportunity for Government to engage fully with UK industry on the outputs of the Dunne Review. It could serve as a vehicle to discover how criteria such as investment in UK industrial and research & technology capacity, as well as creation of highly skilled jobs can be weighted and measured as competitive criteria. Post-Brexit the UK will have more flexibility in these matters, and issues such as FSS will move from differing interpretations of EU legislation to a genuine debate about what procurement approach best balances security and prosperity considerations. HMG must work cross-department to ensure that initiatives such as the National Shipbuilding Strategy and the MOD’s Prosperity Agenda are complementary and, most importantly, give industry the confidence to invest in the UK. These issues will persist up to (and likely after) a decision for a preferred bidder is made in 2020. ADS will continue to champion the interests of our members and the wider UK economy in the discussion about important programmes such as FSS.